Your eyes are constantly active. They engage in muscle contractions throughout the day in order to focus on the objects you are trying to view. These muscles are also working hard whenever you are conveying emotion through facial expressions. It should come as no surprise that your eyes will be one of the first areas of the face to show signs of aging since these frequent muscle contractions are responsible for the development of fine lines and wrinkles. If you’d like to reverse the signs of aging near the eyes, blepharoplasty can provide you with the youthful appearance you desire. Eyelid surgery can achieve dramatic facial rejuvenation results, helping you take years off your appearance. Dr. Richard Lee is a board-certified plastic surgeon with more than 15 years of experience performing eyelid surgery for men and women in the Newport Beach area. He will listen carefully to your goals and concerns in order to develop a customized treatment plan that will deliver the beautiful, natural looking results you desire. You can learn about your options and receive individualized recommendations by speaking with Dr. Lee in person. Please call 949-548-9312 today to schedule a free blepharoplasty consultation. We serve patients in Newport Beach, Irvine and throughout Orange County, California. You may also experience vision benefits from your procedure. Droopy eyelids can often impede your visual field, and removing them during eyelid surgery can help you see more clearly. Your rejuvenated, youthful appearance can also lead to improved self-confidence which will provide tremendous benefits in all of your social and professional interactions. Blepharoplasty only addresses signs of aging around the eyes. 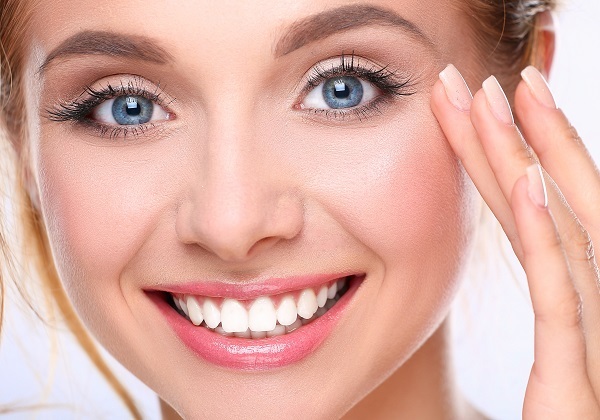 If you are looking to correct more extensive signs of aging throughout your face, Dr. Lee may recommend a facelift or a brow lift in conjunction with your eyelid surgery to achieve the comprehensive facial rejuvenation results you desire. In some instances, nonsurgical treatments such as injectables and fillers can be used to enhance the facial rejuvenation results achieved during blepharoplasty. There is no “right age” to undergo eyelid surgery. 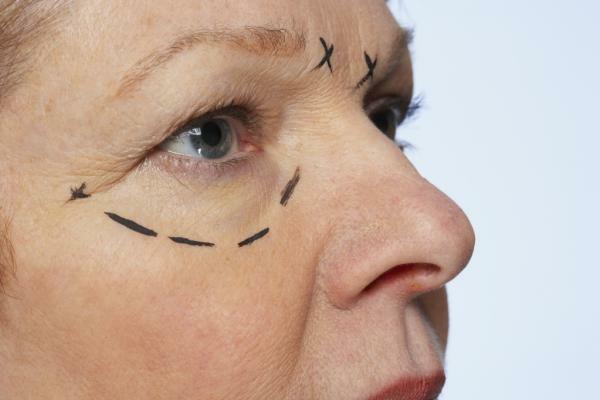 Most men and women seeking blepharoplasty have traditionally been in their 40s and 50s. However, in recent years Dr. Lee has seen a growing number of individuals in their mid to late 30s undergo the procedure in order to address these early signs of facial aging when they first start to develop. If you prefer to experience the facial rejuvenation benefits of eyelid surgery at a younger age, Dr. Lee can discuss your options with you in detail. It’s never too early to enjoy the perks that come along with looking young and feeling your best. Blepharoplasty is performed on an outpatient basis under general anesthesia. An incision is made within natural crease of the upper eyelid and below the lash line on the lower eyelid in order to ensure the scars are discreetly concealed. Excess fat and skin are removed to achieve a more youthful appearance. Your vision should clear up after a day or two, and they other side effects will gradually subside within two weeks after surgery. Dr. Lee will give you detailed aftercare instructions. It’s important to follow them as directed in order to ensure proper healing and the best possible outcome. Initial results should appear once the swelling and bruising subsides, but it may take a few months before you see your final outcome. Your results should last a long time, providing a more youthful appearance for years to come. Please contact Dr. Richard Lee using the form on this page or call 949-548-9312 today to schedule your complimentary eyelid surgery consultation. We serve patients in Newport Beach, Irvine and throughout Orange County, California.